KUALA LUMPUR (Oct 26): Public Bank Bhd's wholly-owned subsidiary Public Mutual Bhd has today launched two new funds, the Public ASEAN Growth Fund (PASGF) and Public Greater China Fund (PGCF). In a statement today, Public Mutual said PASGF seeks to achieve capital growth over the medium to long term by investing in a diversified portfolio of blue chip, index and growth stocks in ASEAN markets. Public Mutual chief executive officer Yeoh Kim Hong said PASGF is well-positioned to benefit from the economic growth of the ASEAN region as the fund may invest up to 98% of its net asset value (NAV) in selected ASEAN markets including Malaysia, Singapore, Thailand, Indonesia, the Philippines, Vietnam and other permitted markets. She said the region's rapid urbanisation, favourable population dynamics and relatively young labour force will help support ASEAN's economic performance in the years ahead. Yeoh said equity markets in ASEAN are expected to benefit from the robust economic outlook, improved corporate earnings growth, accommodative monetary policies and currency strength amid a weakening US dollar. She explained while PASGF focuses on ASEAN region markets, PGCF, on the other hand, aims to ride on the rise of the vibrant Greater China markets and provide investors the opportunity to participate in the long-term growth potential of the region. Yeoh said the fund invests in a diversified portfolio of blue chip, index and growth stocks primarily in the China, Hong Kong and Taiwan markets, as well as China-based companies listed on overseas markets. "To achieve capital growth, PGCF will invest 75% to 98% of its NAV in equities, with the balance invested in fixed income securities and liquid assets. "Unlike our other China focused equity funds, this fund may invest up to 25% of its NAV in other regional and global markets outside of the Greater China region which allows the fund to benefit from diversification," she said. The initial issue price for both PASGF and PGCF is 25 sen per unit during the 21-day initial offer period from Oct 26 to Nov 15, 2017. The minimum initial investment amount is RM1,000 while the minimum additional investment amount is only RM100. Investors who purchase units of the funds during the initial offer period can enjoy a promotional sales charge of 5% of the NAV per unit. Terms and conditions apply. 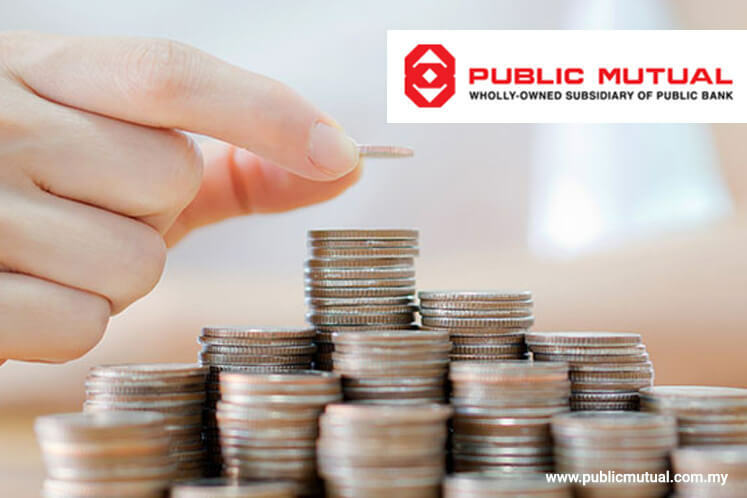 Public Mutual is Malaysia's largest private unit trust company with more than 120 unit trust funds under its management. As at end-September 2017, the fund size managed by the company was RM78.5 billion.